Will metal roofs be mandatory in Florida Keys? Florida Keys officials may make metal roofs mandatory. Hurricane Irma has spurred officials in the Florida Keys to consider making metal roofs mandatory for new or replacement roofs. The Monroe County Commission was set to consider an ordinance Nov. 14 that would do just that. Officials say the proposed ordinance was sparked by damage wrought by Hurricane Irma and the idea that metal roofs are more durable than asphalt roofs. Such considerations have become more common in the past several months. 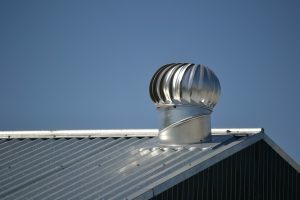 At a recent convention in Las Vegas, people in the industry said they expected recent hurricanes in Florida and Texas would drive sales of metal roofing higher. Already, metal roofing was on an upswing, moving up to 14 percent of the market from 8 percent in 2014. Asphalt shingles still dominate the market with 80 percent. But ordinances like the one in the Keys could drive metal adoption higher. Longevity—Metal roofs can last from 40-70 years. Durability—Some metal roofs can withstand winds of up to 140 mph. Energy efficiency—Metal roofs can cut energy costs by 10-25 percent by reflecting radiant heat. Environmentally friendly—Metal roofs are 100 percent recyclable, and are often made from recyclable material. David Bange Roofing can help with any roofing need you may have. The South Florida roofing contractor has generations of roofing experience and specializes in both commercial and residential projects. We specialize in the installation of flat, metal, slate and concrete tile roofs in South Florida. We strive for 100 percent customer satisfaction in everything we do.